Rev. Freeman L. Palmer serves as the Conference Minister for the Central Atlantic Conference United Church of Church. Freeman began this call in February 2019 after serving nine years as Associate Conference Minister, Congregational Development, for the New York Conference of the United Church of Christ. Freeman currently holds ministerial standing in the Metropolitan Association of that conference, ordained in 2004 to his call as Associate Minister at Middle Collegiate Church in Manhattan, where he served for five years. A member of The Riverside Church since 1993, Freeman supports the clergy as needed, and is a member of the Inspirational Choir. Freeman is also an original contributor to the African- American Lectionary, an online worship, scriptural, and cultural resource used principally by African-American congregations. Washington, Freeman’s educational background includes a BA in Economics from Swarthmore College, an MBA in Finance from the Wharton School of the University of Pennsylvania, and a M.Div. with honors from New York Theological Seminary, where he served as Comptroller while a student and received an award from the faculty for excellence in theological studies. He also served for two years as Chief Financial Officer for the North Jersey Community Research Initiative, one of New Jersey’s largest social service organizations serving people living with HIV/AIDS. Rev. Freeman lives with his spouse, Donal in Jersey City NJ. In his spare time, Freeman enjoys both traditional and contemporary jazz, reading books ranging from biographies to graphic novels, enjoys movies, and as a ‘map geek’ with extensive knowledge of the US highway system, enjoys getting on a road just to enjoy it and see where it leads. Angie returned to the Conference staff in 2008. She the Administrative Assistant to the East and West ACMs. Angie maintains the records for all the Associations except New Jersey. She is an avid gardener and pet lover. Growing up in Kentucky it took some meandering before finding a spiritual home in the United Church of Christ. My father was a Southern Baptist minister and it took a little time for my burgeoning thoughts to take shape. But that is a tedious story for another setting. What you really need to know about is my family. I had the best luck to marry the wonderful and multi-talented Kerrie Shahan who brings warmth and laughter into my life. At one time we found ourselves debating - kids or pets? Do we ruin the carpets or do we ruin our lives? Ultimately we would go for gold, throw caution to the wind and have both. Two daughters bring no ending amount of thrills. Our oldest, Olivia, is going on 20 and is emerging as an adult in her own right. Our younger, Jenna, is 13 and is involved in choir and drama. As a family we do taekwondo and three of us are black belts. A rescued greyhound and cat round out the family. I confess that I am a huge diva dog. I love the the divas - Aretha Franklin, Gloria Gaynor, Patti LaBelle, Gloria Estefan, and so on including Lady Gaga and P!nk. But my highest admiration goes to Tina Turner. No matter how down I may get, put some Tina on and my mood changes instantly. My position before moving to the Garden State was Associate Conference Minister for the Rocky Mountain Conference. That position allowed me to play (camps and retreats), to partner with congregations (search and call), to dream (visioning work), and to disciple (Christian Education resourcing). Beth has been with the Conference for 30 years serving in our New Jersey office. She is the Administrative Assistant to the North ACM. Responsible for the administrative side of Boundary Awareness Training and profile coordination, Beth is the person to contact with questions about search and call. She is also the registrar for the New Jersey Association. organizing social justice campaigns as Policy Advocate with Justice & Witness Ministries, as Senior Campaign Manager and Deputy Legislative & Policy Director with USAction, and as Outreach Director with Americans for Financial Reform. Rev. 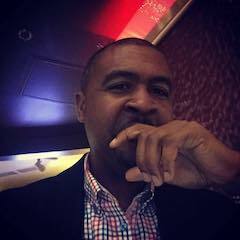 Silver earned Bachelor of Science in Political Science from Bowie State University in Bowie MD and a Masters of Divinity from Howard University School of Divinity in Washington DC. He lives in Upper Marlboro, MD and is married to Shelia Renee Silver. Rev. Alex Vishio was born and raised in Baltimore, MD, where he was also educated at the Gilman School. After completing his high school course of study in 1987, he attended Swarthmore College and majored in religious studies. Upon receiving his B.A. in 1991, he entered the Divinity School at the University of Chicago, earning his M.Div. in 1994. He returned to Baltimore to teach classics at Gilman. He also served as an adjunct instructor in religious studies at Villa Julie College (now Stevenson University). He eventually returned to the Divinity School to pursue a doctorate in ethics. There, he assisted in teaching courses in ethics, metaphysics, and ministerial studies. He also taught a course in theology at neighboring and UCC-related Chicago Theological Seminary. Having passed his oral examinations and commenced his dissertation, he returned to Baltimore to serve as chaplain and classics teacher at his former high school, as well as adjunct instructor in classics at Loyola University. Alex has served the Central Atlantic Conference of the United Church of Christ first as a member of its Board of Directors, then in a volunteer capacity as its Assistant Minister for Social Justice & Witness, and now as its Acting Associate Conference Minister, with a focus on supporting churches and pastors in the Catoctin and Shenandoah Associations. He continues to assist Rev. Marvin Silver with the Conference’s Justice & Witness Ministries. 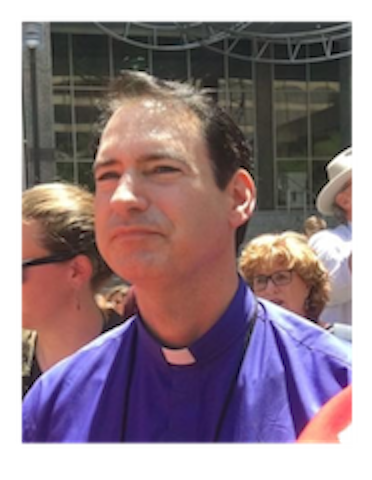 He has also served as President of the Consistory of his home church, First & St. Stephen’s UCC in Towson, MD, and as Vice-President of the Chesapeake Association Council. In his spare time, Alex continues to pursue academic work in Christian theology, recently serving as co-editor of The Notebooks of Schubert Ogden.